I keep a brew log in the form of a spreadsheet (last updated on September 10, 2018 20:29:24). I recommend a spreadsheet over brewing software primarily because it's free and open source. In addition, it's easily modified and you can see the calculations being performed (which means you can learn, understand, and change them). And yes, I use LibreOffice (not MS Office) since it is both free and open source. Can you tell that I like free and open source stuff? That's mainly because its designers don't constantly come up with a new version with different proprietary file formats to make it difficult for everyone to open such formats unless they purchase a new version or upgrade every time. That's a no-brainer for me. I protect my spreadsheets (without a password) so that I don't accidentally change or delete a formula. They can be easily unprotected should you feel the need to change something. If I had one piece of advice to convey to anyone interested in homebrewing, it would be to keep a detailed brew log. 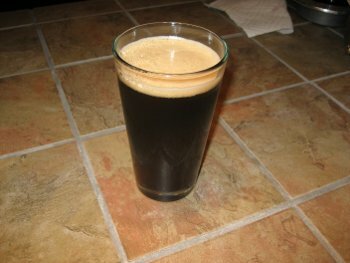 Here is a list of the brews I have made over the years since I started homebrewing (162 batches so far!). Unfortunately, not all of the earlier ones have brewsheets. I wish I had them to refer to for recipes and notes. Again, this is why I would recommend that you keep a brewing log from the very beginning of your homebrew "hobby." Enjoy! Vela is born on 04/01! Malcolm is born on 03/28! The world ends on 12/21! No it didn't; still here on 12/22!